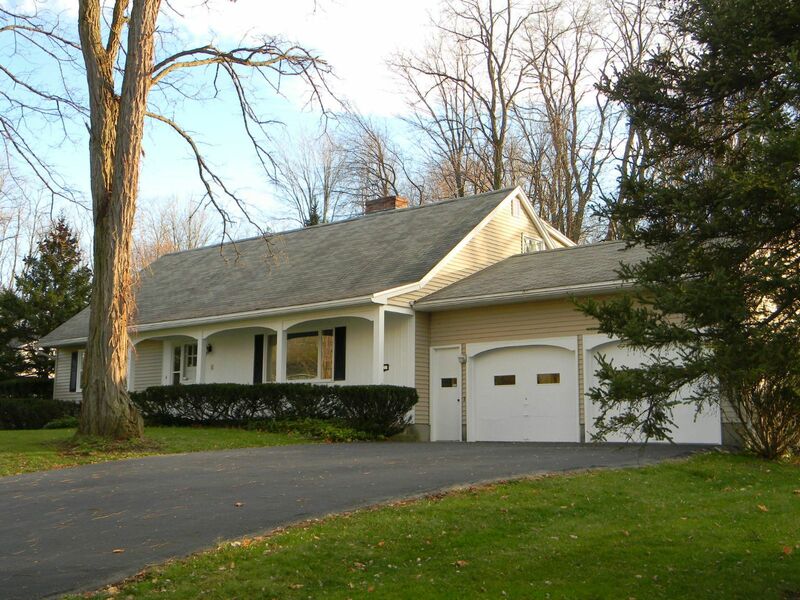 http://www.CNYAgent.com – 315-882-6610 - Quality "Bob Barry" built expanded Cape located in the desirable "Bishops Bluff" neighborhood. The first floor features and eat in kitchen, formal dining & living room with hardwood floors and a wood burning fireplace, full bath, bedroom, and a den/study that could be used as a 5th bedroom. The second floor offers a master bedroom, 1.5 baths, and two other good sized bedrooms. There is ample storage/attic space on the second floor. The exterior provides a screened in porch and a private treed backyard. Pride of ownership is evident in this quiet neighborhood which is centrally located within the Village of Fayetteville and close to schools, shopping, and major highways.